June 1: First boat ! People are unloading goods going back and forth with hovercraft. 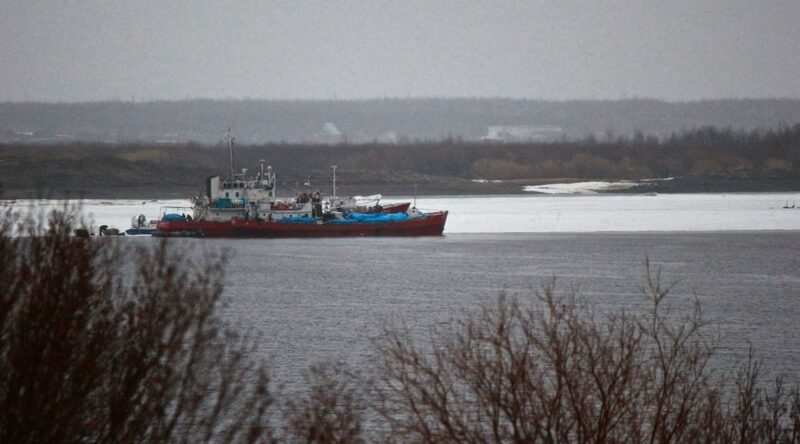 The channel of the Yenisey is clearing progressively, there are still icebergs deriving and « ice jam » may occur again when the remaining ice from upstream islands and branches will break. Safe sampling need to wait a little as moving icebergs might be several times the size of our boat.